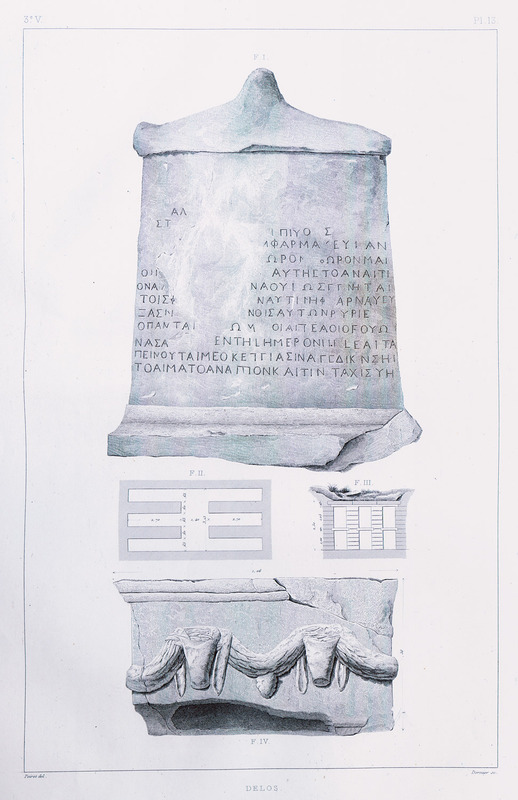 Ancient Greek inscription from Delos island. 2, 3. Plan and section, possibly of the Prytaneion, Delos island. 4. Fragment of sarcophagus from Delos island.